Why is it so difficult to establish and sustain Communities of Practice (CoPs) in Higher Education? Several reasons, CoPs may be better suited to industry, academics are time jealous, and traditional facilitation (leadership) skills are challenged. Jacquie McDonald’s 2010-2012 Fellowship “CDP: community, domain, practice: facilitator catch cry for revitalising learning and teaching through communities of practice,” addressed these issues. It aimed to implement Communities of Practice (CoPs) to support learning and teaching in Higher Education using a robust and practical organising structure, and also researching and capacity-building the CoP facilitator’s role. The Fellowship report provides an outline of activities, research findings and resources. Jacquie observed that CoP facilitator’s (and, on reflection, OLT Fellows) have challenging leadership roles that often sit outside the traditional, hieratical institutional roles. Working with colleagues expecting usual team and/or project strategies to implement a CoP approach takes skill, patience, perseverance and the ability to live with ambiguity. A practical, easy to implement approach is also required to suit the ‘time jealous’ reality of potential members. Jacquie adapted the unique combination of three fundamental CoP elements: building community, sharing practice and growing domain knowledge (Wenger, 1998) to provide a consistent framework for monthly meetings. This ensured that each of the essential elements of a CoP was addressed at meetings and provided a robust structure to give clear direction, outcomes and value for time to members. The template is available on the Fellowship web page. She extended this research as co-leader of the 2010-2 Office of Learning and Teaching (OLT) Leadership Project – Identifying, building and sustaining leadership capacity for communities of practice in higher education, which investigated and provides resources for leadership of communities of practice within the tertiary education sector. Since completing her Fellowship Jacquie has enjoyed working with several Fellows to share ideas for implementing CoPs. She has also been invited to present CoP focused key notes and workshops in Australia, and recently at the Qatar 4th Annual Teaching and Learning Conference, Doha; and the Hong Kong Polytechnic University (PolyU) Community of Practice Finale Celebration. Jacquie has now finished full time employment and has an Honorary Associate Professor position, supervising CoP focused PhD students and mentoring CoP activities. 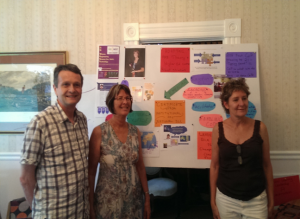 She is completing a certificate in Social Learning Leadership with Etienne and Bev Wenger-Trayner, international CoP Leaders. Jacquie identified a gap in the Higher Education CoP literature, so one Certificate outcome was to invite CoP facilitators to publish about their CoPs. The 69 submissions to the initial call for proposals demonstrated the impressive scope and interest in higher education CoPs and resulted in two books. McDonald, Jacquie & Cater-Steel, Aileen (Eds.) (2017) Implementing Communities of Practice in Higher Education: Dreamers and Schemers. Several of our Fellows have published in these books, so check out the table of contents for familiar names and how the Fellows are using CoPs to provide learning and teaching leadership. 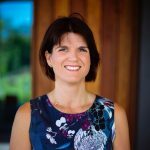 Jacquie’s future Community of Practice activities include sharing Higher Education CoP knowledge through a consultancy and a location for others to share their practice through a blog – https://jacquiemcdonald.com/. Can a Community of Practice support, sustain and/or enhance your Fellowship activities? If yes, Jacquie is keen to work to support your CoP Fellowship activities. 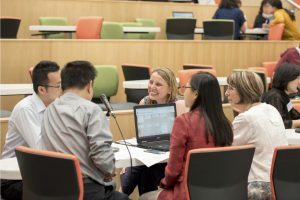 “With communities of practice – I know I’m not alone,” a quote from a University of Southern Queensland Community of Practice member.